At the Knowle Dental Practice, we provide you with the choice of a safe and approved teeth whitening system to help transform your smile. Teeth Whitening is a very simple and quick way to boost your self-confidence and brighten your smile, so you look and feel great. 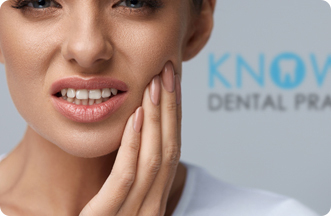 At Knowle, our experienced and caring dental professionals can help give you a brighter, whiter, smile in 5 – 14 days. Teeth whitening is one of the most popular cosmetic dental treatments, with often instantly visible results. 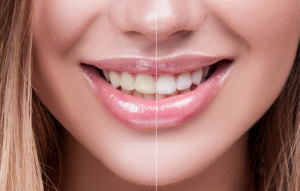 While there are several methods we may recommend based on your evaluation, one of our most popular Teeth Whitening procedures that can whiten even heavily stained teeth is Pola. Using the Pola Advanced Tooth Whitening System method for just thirty minutes a day for ten days can give you a whiter, cleaner, brighter smile. The process is simple. Once we examine your teeth and determine Pola is right for you, we take an impression of your teeth. Our experienced lab technicians then create custom-made mouth trays. You take the trays home and fill them with the Pola whitening solution, place the wearable trays over your teeth, and keep them there for the specified period. You do this each day at a time that is convenient for you for ten days. This portable solution can be taken anywhere, making it possible for people to whiten teeth on business trips, and even while on holiday. Our dental professionals can answer any questions you might have before and during the process to help you achieve the brightest and healthiest smile possible. Start yourself on the road to a whiter, brighter smile by booking an appointment today with the Knowle Dental Practice. Call us on 0117 977 6567.